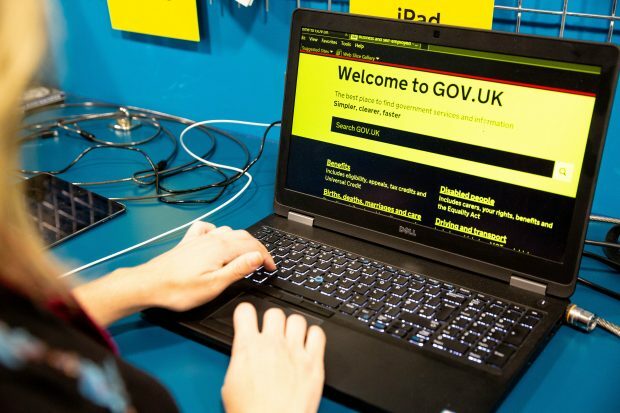 GDS’s Accessibility Empathy Lab is open to anyone from the public sector. Since we blogged about the lab, we’ve seen a huge increase in visitors coming in to use it as an assistive technology space. We know that some public sector organisations, especially local government, can struggle to get access to assistive technologies. There can be financial barriers to testing and it can seem overwhelming. By coming into the lab people not only see and test the technologies, but also learn what testing they can do in their own workspaces for free. Here’s some advice on what free assistive technology tools are available. Testing on these technologies does not replace an accessibility audit, but by testing early on you can spot potential issues, improve your service and save money. The first 3 tools can each cost up to £1,000. But there are free alternatives if you are not able to use them because, for example, they are too expensive or you do not have the required operating system. JAWS is by far the most popular screen reader, but you can do initial testing in other screen readers instead. NVDA is very similar to JAWS, they even share most of their shortcuts. The main difference between them - apart from cost - is JAWS tries to compensate for badly coded websites by trying to fix things for their users. That makes it more helpful for users. However, NVDA can be more useful for testing because it does not try and fix mistakes. Windows has its own built-in screen reader called Narrator. But we’ve found not many screen reader users are using it and NVDA is much more popular. If you cannot install NVDA, try Narrator. VoiceOver is integrated into all Apple devices and is used by a lot by screen reader users. Using a screen reader with a touchscreen is a very different experience and many people find it more intuitive. The same is mostly true for Android devices and its screen reader TalkBack. VoiceOver is also available on Mac, but be aware the desktop version is not used as much by screen reader users. You should only test in Safari and not in Chrome. An alternative to VoiceOver is using NVDA via a VM on a Mac. A VM allows you to run software on another operating system it would not usually run on, for example running Windows 10 on a Mac. We recommend using NVDA on a Mac this way, rather than VoiceOver, if you have the choice. ZoomText can magnify the screen up to 60x and has extra features, meeting a lot of needs that built in tools do not meet. But issues - like not being able to read content easily or being disoriented by layout changes - which can be detected in 60x magnification can also be detected at a lower magnification. 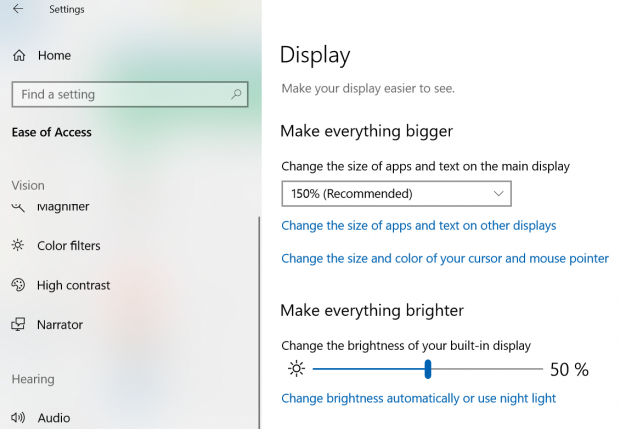 Magnifier comes as standard with Windows and can magnify the screen up to 16x on Windows 10. It is perfectly fine for testing and acts as a good enough alternative. Apple Zoom is Apple’s native magnifier. Its magnification level is 40x, coming quite close to ZoomText’s level. Dragon gives the user high levels of accuracy, but for testing you only need to know whether you can interact with the site. For most services, this is the ability to fill in forms and follow hyperlinks. Windows comes with its own speech recognition tool. It's quite similar to Dragon and in broad terms, the same problems which Dragon would pick up - like not being able to click a link or type into a form field - would also be picked up by the native Windows tool. Macs come with a native speech recognition tool, but unfortunately Apple Dictation is misnamed and well hidden. Although it’s called ‘Dictation’, you can actually do much more with it than just dictation and use it the same way as Dragon or Windows Speech Recognition when you have “enhanced dictation” enabled. Although iOS also has Apple Dictation, it only works for pure dictation as enhanced dictation is only available on macOS. As with VoiceOver, you should use Dictation with Safari. Most people do not know what powerful assistive technology is included in the systems they already use. I’ve even met lots of accessibility experts who do not know the full extent of what’s available. I highly recommend looking for accessibility settings in whichever system you use and try them out. You will be amazed at what’s available for free and what can be done. It can also be helpful to simulate visual impairments when testing. Some can be simulated with Chrome extension Funkify that not only simulates various visual impairments, but also dyslexia, motor impairments and even an attempt at cognitive impairments. 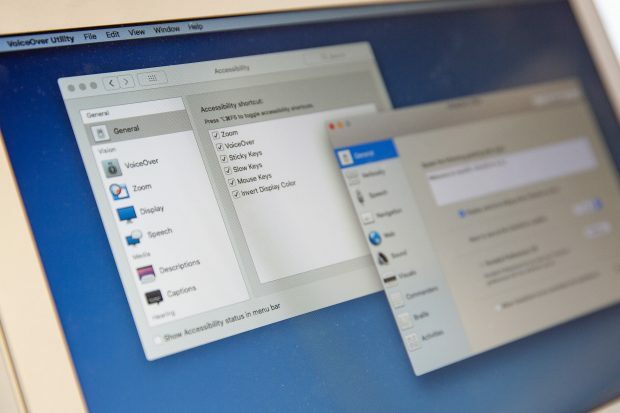 Below is the most minimal set of assistive technologies for either Windows or Mac. In addition, test in any mobile screen reader you can get your hands on - ideally VoiceOver on iOS (or a cheaper iPod touch) but TalkBack on Android will also work. These are some of the alternative tools we know work for our users. We’re always keen to learn more at GDS, so if there are any other tools you find helpful please let us know in the comments. One of the problems you have here is that your list basically comes down to those things provided under Access To Work whereas out in the real world users use many more products. Dolphin Supernova is a fine example of magnification software which in many respects is much more sophisticated and user friendly than the big two. Equally you'll do well to find many people who use Windows Magnifier. It simply doesn't work well with most VIs. The other problem you have here is that you're trying to push one size fits all and encouraging early testing as a means to address any unique problems which crop up when actually the problems are well documented and what happens in government is that users who need reasonable adjustments but who don't sign up to solutions like this are portrayed as awkward personalities or actively harassed. For example, the move to open plan offices, which are now known to be discouraging of creativity etc. leaves anyone with a need to use something like Dragon Naturally unable to do so in an open office environment where it works pretty poorly indeed. That same open office environment leaves people using magnifiers vulnerable to having confidential documents, emails etc. read from some distance away without their knowledge. Similarly, Voiceover and most forms of voice control or text to speech can leave many users feeling very vulnerable as it means the private becomes public and your use of a device is highlighted in a manner no one else will experience. The problem in government is not a lack of awareness of assistive technology. It's the failure to understand how outdated office environments actually put the user of such tech at risk. Thanks, it's good to know what real-life challenges assistive technology users can have. This blog post only talks about testing, though. We are aware that what users mostly use is different from our list, and we mention that in the post. But we wanted to tell people who build websites about alternatives so they can test much more easily rather than not doing it at all because the real world tools are more difficult to obtain. The Free/Open Source browser Lynx can be useful for testing website accesibility. It runs within a terminal, so only the text is rendered. @Mike I think some of your criticisms are fair and some unfair. I think any article which encourages early testing and identification of accessibility issues is useful. This article may not deal with the day to day realities of using assistive technology in public, however it is a good step towards making sure that web content is accessible to assistive technologies. Whether or not the physical environment or the organisational culture is suitable for assistive technology users is another issue altogether. It doesn't make this article invalid in any way. With regards to screen readers, I've yet to see someone use one in an open plan office without using headphones so privacy concerns are (in my experience) not be as much of an issue as you make them out to be. In my view, this article does it's job well. Changing the mindset so that people with impairments are comfortable using AT in public is a separate, but equally important education piece but it relies on accessible content being tested and built properly in the first place.